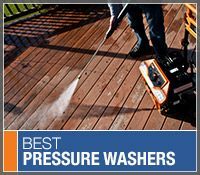 If you're having trouble with your pressure washer, there's no need to panic. There's help just around the corner. Our manufacturers have service numbers you can call that are dedicated to helping you get your pressure washer back in service. Since they designed and built these products, their experienced engineers have a comprehensive understanding of how to remedy any problems you may face.